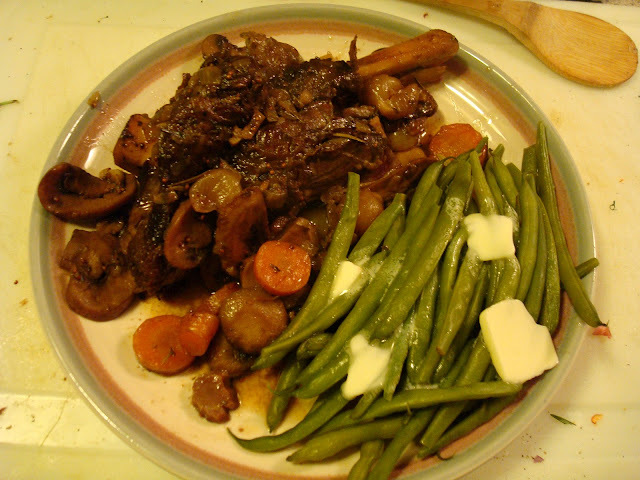 This is a great falling-off-the-bone way to enjoy a more budget-friendly cut of lamb. 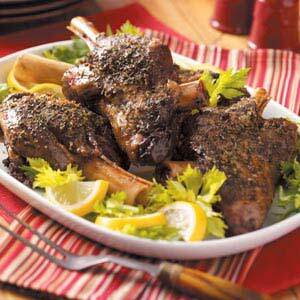 - Sprinkle lamb withs salt and pepper. Place in a 5-qt slow cooker. Sprinkle with the parsley, garlic, oregano and lemon peel. - In a small saucepan, saute the onion and carrot in oil for 3 - 4 minutes or until tender. - Stir in wine or broth and bouillon. Bring to a boil, stirring occasionally. Pour over lamb. - Cover and cook on low for 8 hours or until meat is tender. - Remove lamb and keep warm. Strain cooking juices and skim fat. In a small saucepan, bring juices to a boil. Cook until liquid is reduced by half.